This is our review of OneVPN, based on real VPN testing results. In this OneVPN review, we will cover OneVPN’s speed, reliability, price, free trial, software, customer service etc. CSTP protocol over AnyConnect works well in China. Doesn’t have a server in Japan. Free Trial: 7 day money-back guarantee. OneVPN is a Hong Kong based VPN service provider. It supports VPN protocols such as L2TP/IPSec, IKEV1, IKEV2/IPSec and CSTP etc. Currently OneVPN’s website is accessible from China and you can sign up for its service from China. However, we found OneVPN’s desktop software for Mac is hard to use in China. We had problem connecting to its VPN servers using its desktop software for Mac. OneVPN suggests users in China use Cisco’s AnyConnect software to connect to its servers using the CSTP protocol because using CSTP on port TCP 443 is quite difficult to get detected by China’s DPI. We found using CSTP via AnyConnect works well in China. If you use OneVPN in China, we suggest you forget about its own software and use CSTP via AnyConnect instead. VPN protocols: OneVPN currently supports the following VPN protocols: L2TP/IPSec, IKEV1, IKEV2/IPSec and CSTP. Among these protocols CSTP is not a common VPN protocols supported by most VPN providers. OneVPN uses CSTP on port TCP 443 so that VPN traffic is hard to get detected and blocked in countries such as China. Simultaneous Connections (Multi-logins): OneVPN allows up to 3 devices to be connected at the same time. Logging: OneVPN does not keep user logs, which is a good feature if privacy is one of your top concerns. Platform Support: OneVPN supports Windows, Mac, Linux, iOS and Android etc. OneVPN has its own software/app for Windows, Mac and Android. Users can also set up OneVPN using third party software such as OpenVPN and Cisco AnyConnect. OneVPN can also be set up manually without using any software/app on most platforms. OneVPN’s price starts from $1 per month (You must pay for 4 year, which is equivalent to $48 for 48 month). 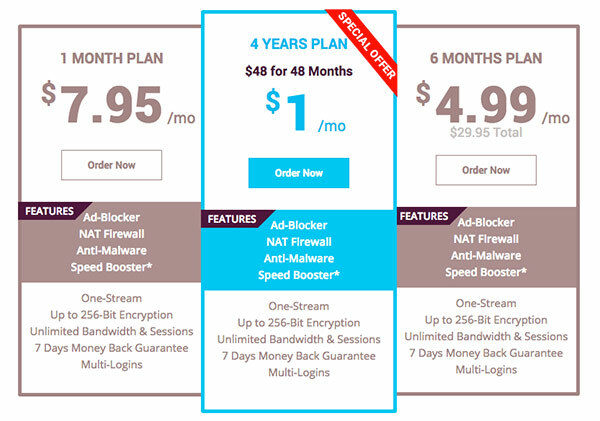 Its 6-month plan costs $4.99/mo and its 1-month plan costs $7.95/mo. OneVPN offers a 7-day money back guarantee for users to try out its service. OneVPN provides VPN software for Windows and Mac. In addition, it has an app for Android, available from the Google Play store. We first downloaded OneVPN’s desktop client for Mac OS. This software supports the following VPN protocols: PPTP, OpenVPN TCP and OpenVPN UDP. However, we couldn’t connect to any servers we tested using any of these 3 protocols. Then we tried another method of setting up OpenVPN. Following the instruction provided by OneVPN, we installed Cisco’s AnyConnect software on our Mac and then set up the CSTP protocol on it. After this setup, we were able to connect to OneVPN and the speed was pretty fast. Then we used the Cisco AnyConnect client to connect to OneVPN’s Hong Kong server using the CSTP protocol. We got a download speed of 44.31Mb/s, which is very fast. OneVPN provides a 24/7 live chat support. When you visit OneVPN’s website, you can see a live chat box on the bottom right corner. To test OneVPN’s customer support, we contacted its customer support using live chat. We were able to talk to a customer support representative almost immediately and the customer support representative answered our questions very well. 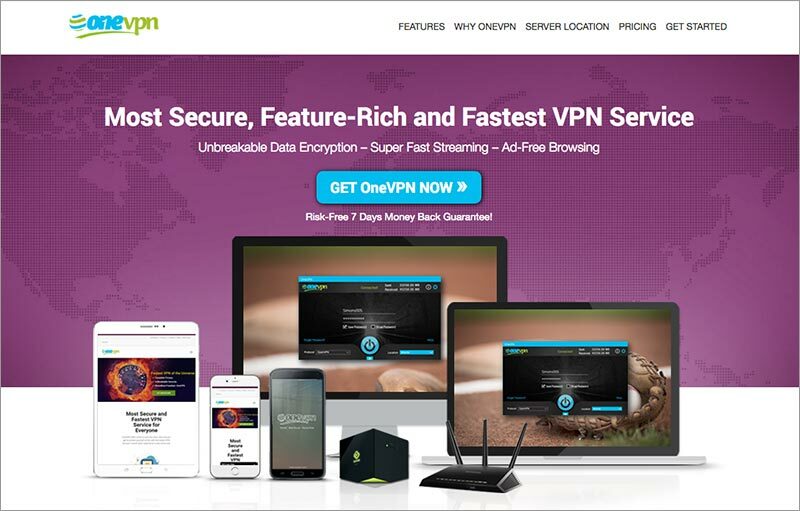 OneVPN is a Hong Kong based VPN company providing VPN service to world-wide customers. Its website is accessible from China, but we found its desktop VPN software doesn’t work well in China. However, we were able to use Cisco’s AnyConnect software to connect to OpenVPN’s service using the CSTP protocol. This connection method works well in China and the speed is quite fast. If you are looking for a VPN service, you can give OneVPN a try. If you use OneVPN in China, we suggest you forget about its own software and only use CSTP via AnyConnect. If you are looking for a good VPN services to be used in China, Please make sure to read our list of Best VPN Services for China Internet Users . This entry was posted in VPN Reviews and tagged onevpn, review. Bookmark the permalink.